James Kroeger, 76, of Schuyler, died Saturday, January 6, 2018, at the CHI Alegent Hospital in Schuyler. Saturday, January 13, 2018 1-3 P.M.
James P. Kroeger was born October 27, 1941, in Columbus, Nebraska to George and Louise (Olsen) Kroeger. He attended Schuyler schools and graduated from Schuyler High School. In January of 1966, he married Anita Wagner. They later divorced. In October of 1970, he married Jeannette Hamata and they had one daughter, Angela. After their divorce Jim married Anita Louise Wright and they too, divorced. 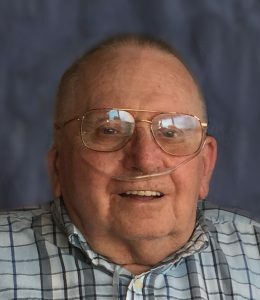 Jim worked for the Union Pacific Railroad as an operator in Schuyler and Columbus and later as a warehouse manager in shipping and receiving, in Omaha and Arkansas, retiring after 30 years in 1995. He had served in the United States Army from 1960-1963 and in the Reserves until 1966. Jim is survived by his daughter, Angela Kroeger of Omaha, two brothers; Bill (Vi) Kroeger and Paul (Mary Ann) Kroeger, all of Schuyler sister-in-law Lolly Kroeger of Lincoln and many nieces and nephews.